Atlit, Israel – Salt of the Earth, Ltd., announces a successful trial of significantly reducing sodium in mayonnaise using its Mediterranean Umami, an all-natural sodium reduction and savory flavor enhancement ingredient. The results of an expert sensory evaluation panel revealed a flavor profile in the Mediterranean Umami mayonnaise (with a 31% reduction in salt) to be similar to standard mayonnaise. This innovative ingredient is a finalist of the “Food Matters Live” awards in the “Best Natural Ingredient for Health and Well-being” category. It will be featured in the Awards Showcase within the Food Matters Live exhibition in London, November 21-23, 2017. Mayonnaise is one of the most popular condiments in the world. In addition to its use as a sandwich spread and as a dipping sauce for French fries, it also is a base for dips and dressings for salads, such as coleslaw, tuna, potato and other salads. Often hidden in the tangy, creamy, savory flavor of mayonnaise is a significant amount of salt. 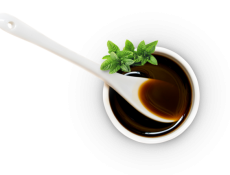 Mediterranean Umami is a clean-label, proprietary mixture of sea salt and natural plant extracts rich in umami flavor compounds. It has been developed to address a growing concern for too much added salt in the average diet. The World Health Organization recommends a maximum salt intake of 5g/day. In much of the Western world, daily intake is significantly higher than this amount, with the majority of added salt coming from processed foods. It will be featured at Booth #405 at the Food Matters Live conference and expo, London Excel Centre, November 21-23, and at Stand #08.0P66 at Food Ingredients Europe, Messe Frankfurt, November 28-30.